… And, I have to share, that I thought it extremely ironic that I received a wrong number call three times earlier today from someone in Nassau (city), New York, asking me if I “still shovel snow.” The town of Nassau is basically Ethan Frome country if you look at the map. Haha! That’s so funny! Coincidental, yes! 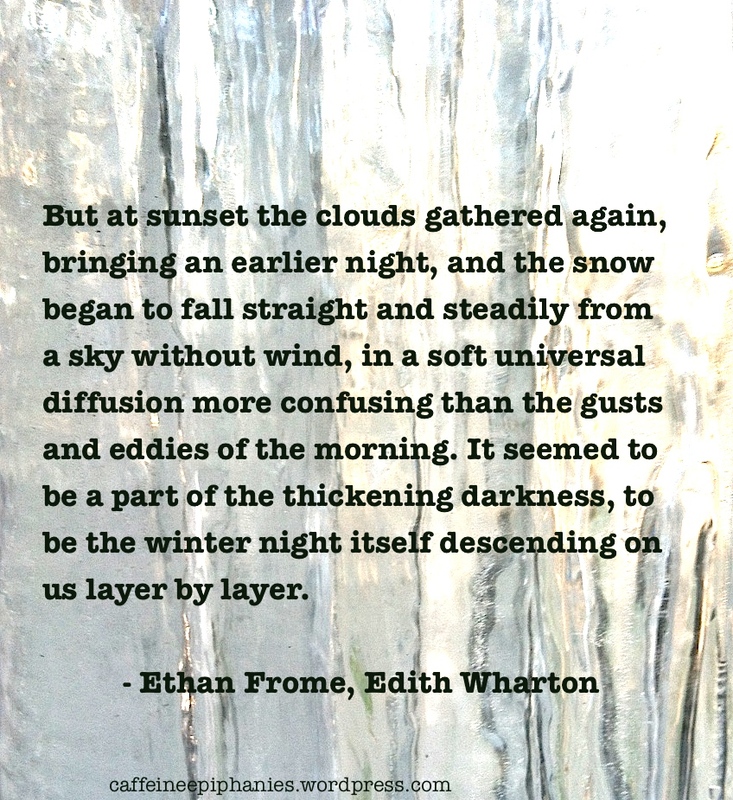 It’s about six degrees here so Ethan is on my mind….often.